Nipper-ng is the next generation of nippper, and will always remain free and open source. Earlier it is known as "CiscoParser". This software will be used to make observations about the security configurations of many different device types such as routers, firewalls, and switches of a network infrastructure. Cisco firewalls (PIX, ASA) and many more. HOW TO USE NIPPER ? 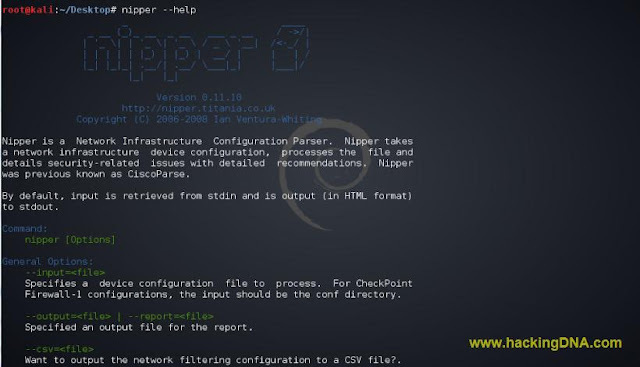 To use nipper, we need to get a router configuration file. Follow the steps to use nipper. we can easily get after access the router via telnet or SSH. Once you get the access of the router, just run the command show running-config command in the terminal. Step 4: Use nipper to extract the report. 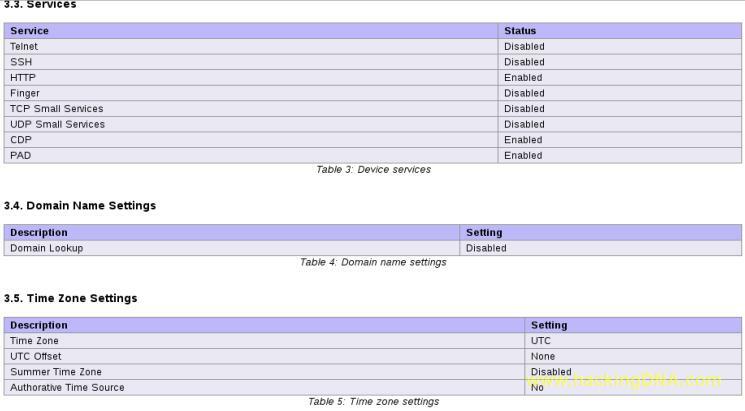 Here i am using 7200 series router IOS image. If nipper is not install in your linux machine, install it with this command. Open the html file on browser, once open it, you will find "Contents" list of the audit. This way, we can audit our network device i.e router and make our router more secure. If you are a security auditor or network engineer, this tool is must for you to use. Keep following our website to read more tutorials and join our facebook page.